On Thursday Google added cocktails to its Knowledge Graph, with the reasoning that “it is always 5 o’clock somewhere”. Now whenever you search for a cocktail, the recipe pops up at the side of the search results. 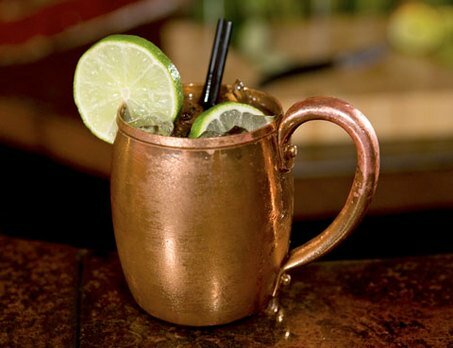 Due to search data, they knew that in 2014 the Moscow Mule was the most searched for cocktail. We thought we’d allow you to make your own mind up on this new innovation by giving you two recipes for the drink. Try them both and see which one you prefer. Each makes one cocktail. Combine vodka and ginger beer in a highball glass filled with ice. Add lime juice. Stir gently and garnish with a lime slice. Squeeze lime juice into a Collins glass (or a Moscow Mule mug) and drop in the spent shell. Add 2 or 3 ice cubes, then pour in the vodka and fill with cold ginger beer (not ginger ale, although what the hell). Serve with a stirring rod.